The Acworth Football and Cheerleading Association, Inc. (AFCA) provides competitive and instructional football and cheerleading opportunities for children between the ages of three and twelve. Children are divided into single age groups and within those age groups are assigned to teams with kids of similar abilities and experience level. There are flag football league for three and four year olds. Tackle football starts at age five. Register prior to July 26, 2014 and take advantage of early registration discounts to participate. Register for $175 as a City of Acworth resident or for $195 as a non-city resident. Registration includes a helmet, shoulder pads, game pants, practice pants, and game jersey. All you have to provide is a practice jersey, cleats, and a mouth piece. You can register online or there will be onsite registration dates to take advantage of the discount on Saturday, July 12, 19, and 26, 2014 from 10:00 a.m. to 1:00 p.m. Halbrooks Field. 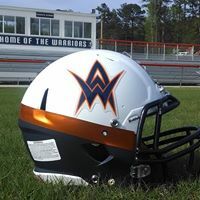 For more information on the organization, please call (770) 974-1688 or visit www.acworthwarriors.com.